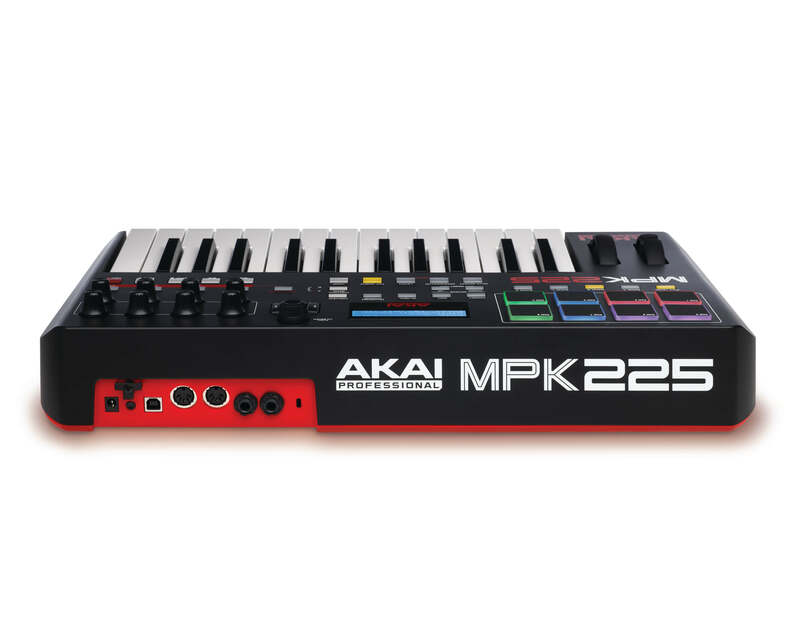 Engineered to be an all-in-one controller solution, the Akai Professional MPK225 is a compact performance pad and keyboard controller that combines deep software integration, enhanced workflow, and core technologies from the iconic line of MPC workstations. 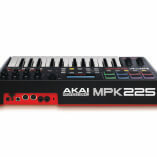 Each member of Akai Pro’s MPK series comes fully loaded with a comprehensive interface for manipulating virtual instruments, effect plugins, DAWs, and more. 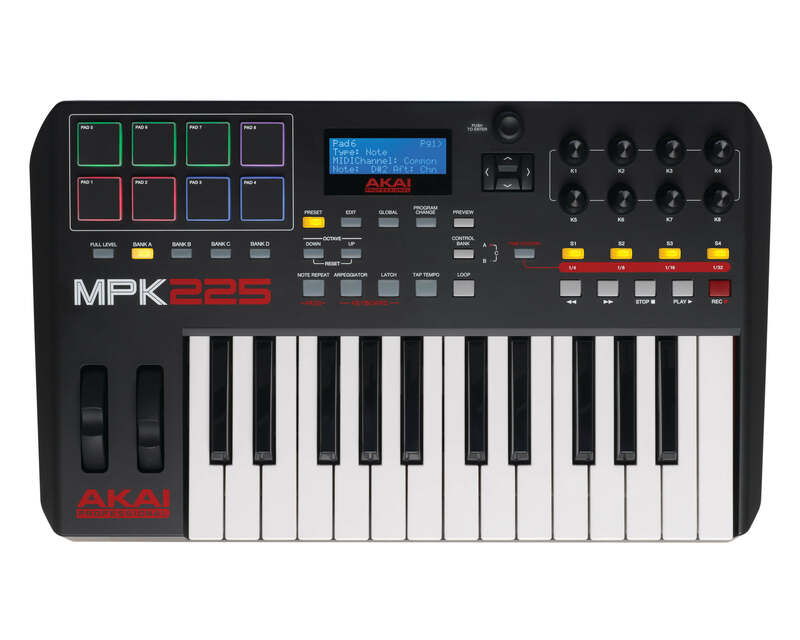 Engineered to be an all-in-one controller solution, the Akai Professional MPK225 is a compact performance pad and keyboard controller that combines deep software integration, enhanced workflow, and core technologies from the iconic line of MPC workstations. Each member of Akai Pro’s MPK series comes fully loaded with a comprehensive interface for manipulating virtual instruments, effect plugins, DAWs, and more. 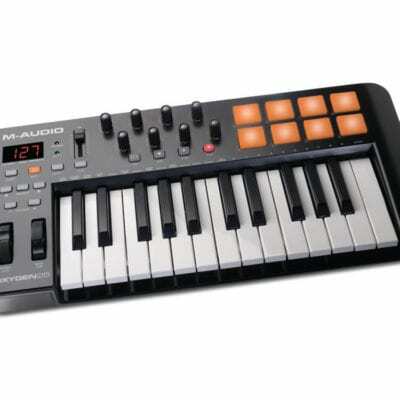 MPK225 features 25 semi-weighted keys with aftertouch, 8 MPC-style pads with RGB feedback, 8 assignable knobs, 4 backlit buttons, and onboard transport buttons. Three banks expand the number of knobs and switches (up to 24 and 12, respectively), and four pad banks expand the number of pads (up to 32 total). 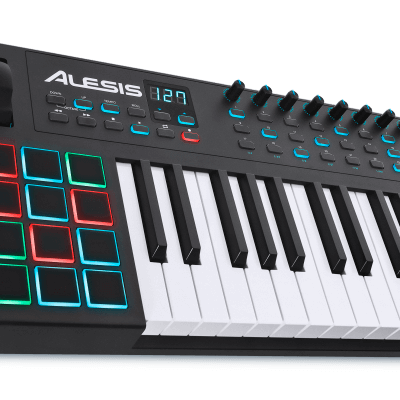 Plus, MPK225 is USB-powered and optimized to interface directly with your Mac or PC with plug-and-play connectivity. 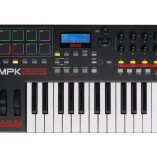 Two high-definition virtual synthesizers bring the best of synthesis technology to MPK225 users. Hybrid 3, by AIR Music Tech, is a versatile virtual synthesizer that combines the warmth of legendary analog synths with a full range of futuristic, digital manipulation capabilities. SONiVOX Twist, a spectral morphing synthesis virtual instrument, makes it easy to create serious sounds using simple controls. 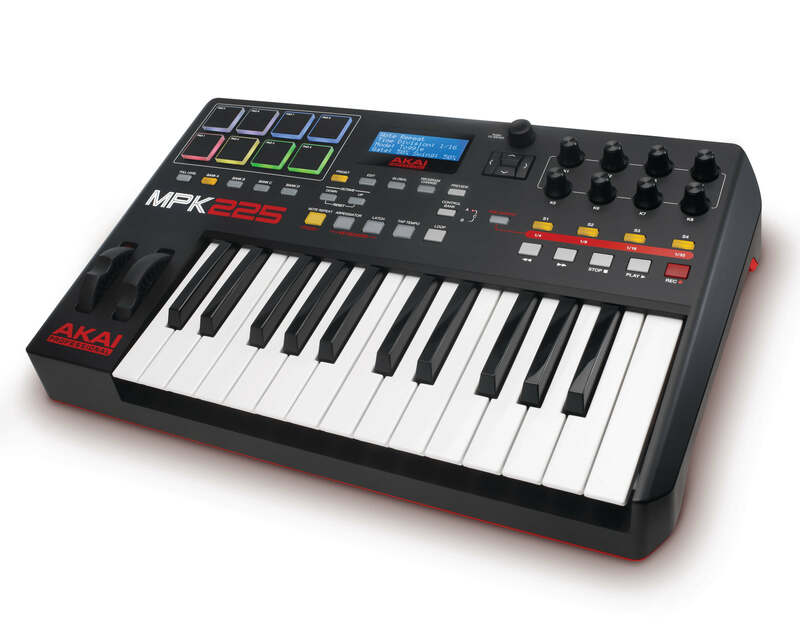 Together, these powerful instruments give MPK225 users professional music-creation tools that can jumpstart any project. Ableton Live Lite is a trademark of Ableton AG. 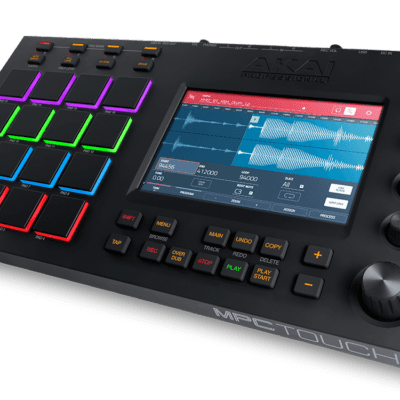 Akai Professional, AIR Music Technology, and MPC are registered trademarks of inMusic Brands Inc., registered in the U.S. and other countries. inMusic is the exclusive distributor of SONiVOX.